With the first half of the Summer Split in the rear-view mirror, we’re finally heading towards the big finale in Madrid! Last week was a fascinating one, and it had it’s fair share of upsets – G2 eSports losing to ROCCAT, most notably. Let’s take a closer look at this week’s matches in order to see which teams have the highest chance of reaching the playoffs. Speaking of the playoffs, they’re currently wide open. The first three teams are almost a sure lock, however the last three spots are completely up in the air. Schalke were able to accrue a couple of wins against lower ranked teams so they’re in fourth, whereas we have a three-way tie for fifth. It’s perhaps a bit cliche at this point, but right now every single win matters. This should be a good week for betting overall. No one should be experimenting and the final playoff picture should be crystallizing sooner rather than later. Unicorns of Love vs. Misfits – For our first match of the day, we have a somewhat uneventful clash between Misfits and the Unicorns of Love. Now both these teams are polar opposites right now when it comes to the standings but their level of play as well. The Unicorns failed to do much last week, in fact they were run over by Fnatic on Friday, and they only barely managed to stay afloat against Schalke. To their credit, not everything was bad. They secured five turrets before fifteen minutes, they had a fantastic early game showing, however when Schalke found just a single opening they didn’t hesitate. The Unicorns didn’t have an answer and they simply succumbed to the pressure. As for Misfits, they’re surely looking to rebound as hard as possible after their abysmal performance against Fnatic last week. It wasn’t a pretty sight overall, and the level of play that they displayed was far from what we’ve been used to seeing from them. What exactly happened, and why they failed to put up much of an offensive is anyone’s guess. The fact that they lost to Fnatic didn’t hurt their stock value too much. They’re not looking invincible any longer, and that’s a big deal, but they’re still one of the best teams in the region. The Unicorns are a pretty capable team, especially if Exileh and Kold synergize well, but they shouldn’t be strong enough to take on an angry, motivated Misfits roster. H2K vs. ROCCAT – The series of uneventful matches continues here as well. ROCCAT are coming off of their biggest of the split so far. It’s absolutely incredible that they were able to take G2 down, but perhaps even more surprising was the fashion in which they did so. It was clean, dominant, and precise. They didn’t lose any time from the very get-go and they outclassed G2 on all fronts. It was a show of just how good ROCCAT can play when they’re able to impose their own playstyle and when Memento gets ahead. The fact that G2 started greeding out and going for bad plays and illogical invades didn’t help their case either. They were horrendously behind and they knew it – they just didn’t know how to rebound with such a huge deficit. One of the best early game teams in the entire region (second best, to be more exact) was absolutely picked apart. ROCCAT on the other hand played a very smart game – they had the lead but they didn’t want to squander it, they played it out by the book, going for objectives and further prolonging their gold lead rather than skirmishing or full five on five teamfighting. They managed to close things out without giving up even a single kill, and it was an absolute joy to watch. As for H2K, well, they’re still last, and they’re still winless. They did show some improvement overall, but they’re still far from competing at the highest possible level. While they shouldn’t be able to win tomorrow, they could (at best) make it somewhat close. ROCCAT are currently tied in fifth place with Splyce and Vitality. If they take H2K down – and that’s almost a certainty, they’ll be one step closer to creating a bigger gap in the standings. They know that this is a must win and they’ll play accordingly. Team Vitality vs. Giants – This is where things get a bit more interesting. Neither team looked particularly good last week. But let’s start off with Giants first. Even though they ended week five with a solid 1W-1L record, it was far from pretty. First they were able to almost take down Splyce on Friday, but the key word there is – almost. They misplayed almost everything they could and even though they always had the lead they never made any proactive moves, they never tried to take advantage and further snowball. The fact that Steelback seemingly did no damage in key moments and teamfights didn’t help them either. Their game against H2K was only a bit better. Even though they had their biggest gold lead of the split, their play didn’t instill much confidence. Their teamfighting was all over the place, but at least they came through on an individual level. They’re improving as a team, that’s obvious. However, it’s happening at a very slow pace, and with three wins and seven losses they’re pretty much out of the playoff picture for sure. The only question left is – could they upset? They already took down G2 eSports last week, so it could happen in theory. As for Vitality, it was a strange week. They went blow-for-blow with Misfits on Friday, and they were almost able to clutch things out. But it was more a case of Misfits misplaying and giving Vitality openings. Vitality fought valiantly for every single objective, and they looked good in doing so. They were decisive and fast on the map, however after the twenty minute mark they kind of went out of sync. When key teamfights started, Vitality members weren’t on the same page and it showed. So they looked good overall, going toe-to-toe with the best team in the region? Well, yes, but then came their game against Splyce. It was such a one-sided game that it was almost painful to watch. Whatever Vitality had in mind, Splyce had an answer – and then some. By the eight minute mark, Splyce had a staggering 3k gold lead. It only took them ten to fifteen minutes to completely dismantle Vitality on all fronts and it was an absolute masterclass in execution. We’re going with Vitality on this one. Kikis is a fantastic player in his own right, and he should bring a ton of experience and level-headed shotcalling to the table, perhaps just the thing that Vitality was lacking. They’re carnivorous, they’re aggressive and if they don’t start off strong they’re like a deer in headlights. With Kikis in the line-up, they should be more subdued and calculated. Synergy is a big question, but Kikis never needed a lot of time to gel with any team he played for, so if he’s game in the current meta there should be no problems. G2 eSports vs. Splyce – The unofficial match of the week, without a doubt. Let’s focus a bit on Splyce first. After three pretty abysmal weeks, they’re starting to get back to their Spring Split form and that’s perhaps a bit frightening for all teams above them. You never really know what you can expect from Splyce, as there are two very different polar opposites – a strong, cohesive Splyce that’s aggressive from the very get-go, and a passive mediocre Splyce that mostly loses. Fortunately for all Splyce fans, the former seems to be more frequent these days. When they come to play, they’re frightening. Even though they don’t really have an obvious hardcarry in their roster, they’re making it work – they’re all stepping up at key moments and everyone is carrying their own part of the weight. As for G2, ever since they came back from Rift Rivals things went downhill for some reason. They’re not even running funneling team comps any longer for some reason, they’re just losing when playing standard and that’s surprising. They needed a really strong showing last week in order to bounce back and yet they barely satisfied the minimum. In fact, you could argue that they flat-out failed. They took down Vitality on Friday, but it wasn’t that good of a performance, and just when you thought they had everything under control against ROCCAT – they crumbled. It’s not a problem that they lost, but they were annihilated, outclassed and utterly demolished. They failed to get even a single kill. A team that many pegged as the second best in the region, the former kings of Europe, one of the best funneling teams in the world, and yet they failed to get even a single kill. Perhaps their disrespectful draft is to blame – to start things off Wunder had no reason to be on Urgot. They were underestimating ROCCAT and it showed. That’s a mistake they probably won’t make again, as they’re not only vulnerable right now but they’re looking pretty bad in the process as well. Perhaps the biggest problem that they have right now is the fact that their bottom lane isn’t as impactful as they were when the split began. They’re still playing the same champions, but it seems the opposition caught up. Now everyone’s going for mages in the bottom lane, and seeing Hjarnan and Wadid on two supports isn’t that big of a novelty any longer. Splyce are finally finding their groove. They found the champions that work for them – Nisqy on Zoe, Xerxe on Trundle and Camille, and Odoamne on Rumble. They found some solace within this chaotic meta and they’re playing what they’re best at. They’re slow to adapt, and it sure did take them a lot of time to acclimate to the huge shift in the meta but they’re finally stabilizing and it’s pretty exciting to watch. We’re going with Splyce on this one, we’re betting on the upset as it’s more than likely to happen. That said, it could easily go the other way as well, if G2 decide to stop fooling around and get back to basics. Fnatic vs. Schalke 04 – To close out the day we have yet another fantastic match-up. There’s quite a lot of hype surrounding Schalke right now, but without a solid reason. Sure, they’re on a four game winning streak, but against some of the weakest teams in the entire region. And even in their wins they looked far from dominant. Mostly they were just able to punish an egregious mistake their opponents made, and even though that’s worth something, top-tier teams won’t give them so much leeway. They’re shaping up to be a somewhat okay playoff contender, however without a solid hardcarry in their roster and with such a volatile early game, they can’t compete at the highest possible level. If anything, this is the best they’ve looked so far in 2018 so there’s at least something going for them. 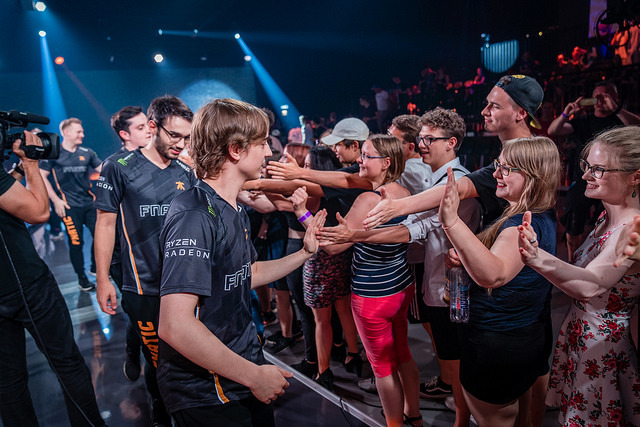 As for Fnatic, it perhaps became evident last week that they’re still as good as ever. They might experiment a bit too much, but it’s only a long con. When they want to play, when they want to win and dominate they’re more than adept at doing so. Their surgical dissection of Misfits was an absolute joy to watch. To see them dominate against an early game giant like Misfits was an incredible sight, and it’s a true testament to their strength, individual talent as well as highly capable coaching staff. With arguably the best players in every single role, it’s hard not to give them the benefit of the doubt. They’re not perfect, they still make mistakes on a fairly frequent basis, but with individual members like Caps performing so incredibly well they simply cannot be stopped. Betting on Fnatic is really a no-brainer here. Not because they took down Misfits, but because Schalke weren’t really tested in the last two weeks. The last time they went up against a top-tier, cohesive team they were outclassed from the very get-go. Tomorrow’s game should be no different. They might be able to make it competitive for a bit, especially throughout the early game but it shouldn’t be enough. All of yesterday’s games went according to plan, which is somewhat of a refreshing change of pace. Mostly there is an upset or two going on, but it seems things are settling down both when it comes to the meta as well as the teams competing. So with that in mind, let’s take a closer look at today’s matches. ROCCAT vs. Team Vitality – For our first match of the day we have a very interesting clash between two teams that are currently tied in fourth place. This is arguably one of their most important matches this split as they could either win or lose their playoff spot depending on the outcome. Thing is, both teams are entering today’s match with varying degrees of success and momentum. Vitality are coming off of a win against Giants, but it wasn’t dominant nor pretty. In fact, they probably should have lost. With Kikis as their starter, they showed both good things and bad ones – and they know it. Kikis started off very well with first blood on Ruin but then proceeded to greed out and invade when he had no business doing so. It was absolute chaos for the first fifteen minutes and even though they didn’t play well, at least they had the gold lead for the majority of the game. But when all was said and done, they escaped from the jaws of defeat. ROCCAT on the other hand is on fire. Sure, their win against H2K wasn’t unexpected, but they were clean and their execution was flawless. Things were pretty close throughout the early game, but once H2K made just a single mistake, ROCCAT capitalized big. Their better teamfighting allowed them to nearly ace H2K and take the Baron. The fascinating part is that they were even before that fight, and just three minutes afterwards they had a ten thousand gold lead. With Baron secured, they turned on the ignition and didn’t stop. They took everything on the map and literally just closed things out. It wasn’t unexpected, but they’re proving to be a very solid middle-of-the-pack team that’s capable of fighting at the highest possible level. They probably won’t be able to crack the Top 3, but who knows. We’re going with ROCCAT on this one. Vitality are never an easy team to bet against as you never really know what they’re going to come out with. But over the last couple of weeks they haven’t been as solid nor as strong as in Spring, and it’s hard seeing them picking up the pace this late in the split. 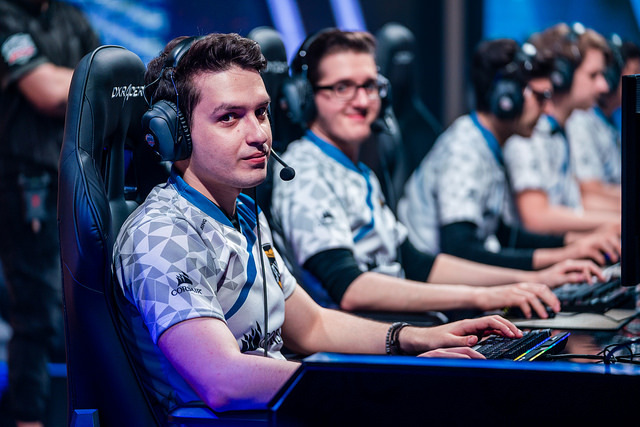 They might be able to make things very competitive, especially in the early game, but ROCCAT need so little to get ahead, they just need a single mistake or opening, and Vitality is often giving them out in spades. It doesn’t matter who’ll be their starting jungler – Kikis or Gilius, they struggled a ton against Giants and if they play the same way against ROCCAT they’re going to get decimated. Giants vs. Unicorns of Love – After a pretty interesting clash we get to watch two teams tied for eight. Hardly that exciting. In essence, this is a very important game for both teams. They’re currently tied in the standings with three wins and eight losses, but regardless of the outcome neither should be able to make a miracle run and get to the playoffs. The gap is too big – both in wins and in skill. They could upset here or there but nothing more than that. Giants were able to nearly take down Vitality, and if it wasn’t for Kikis’ more subdued jungling style and Jiizuke on a tank, they probably would have succeeded. The thing is, they often have the gold lead. They have a solid early game overall, but even when they’re ahead they freeze and don’t go for anything. They don’t force plays, they don’t go for objectives, they just essentially wait until the late game and let their opponents rebound. They’ve done the same against Splyce, as well as yesterday. And it’s a depressing sight overall, especially seeing how there’s actually some talent on this roster. The Unicorns on the other hand failed to do much yesterday – much like last week. For some reason they decided to start with Neon yet again and his inexperienced showed on stage. To be fair, a lot of players fail to play at Hans Sama’s level, but this was particularly ugly. By fifteen minutes they were down four thousand gold, and the snowball was in full effect. When both teams clashed it was too late for the Unicorns to fight as they were down in both levels and items. Closing the game out was just a formality for Misfits. We’re going with Giants on this one. They’ve displayed a lot more over the last couple of weeks than the Unicorns, and even though they didn’t win their close games, they were at least near victory. The Unicorns on the other hand get demolished week by week. Fnatic vs. H2K – The series of uneventful matches continues with this one. Not only did H2K fail to do… anything really against ROCCAT, but they’re up against the current kings of Europe, and Fnatic are by all means playing at the highest possible level right now. The skill and synergy disparity between both teams is absolutely staggering, so this match is essentially a case of “how long will it be before Fnatic crushes them” rather than a hard-fought clash between two strong European teams. Obviously, betting on Fnatic is a no-brainer. Schalke 04 vs. G2 eSports – This is where things get really interesting. Now, while Schalke did get outclassed by Fnatic, they’re a lot better than how they played. The fact that they lost the game in the first five minutes really didn’t allow them to do much – it was just a matter of how much they’ll be able to fight before succumbing to Fnatic’s aggression. G2 eSports on the other hand destroyed Splyce. This is the G2 you want to see. They were incredibly dominant – not only did they know what Splyce would do but they had no time to waste. By the tenth minute mark they were ahead by two thousand gold, and by seven at the fifteen minute mark. This was the definition of clean, and the fact that they were able to dominate a team that’s as solid as Splyce really speaks volumes about their full potential. Even if Schalke come out of the gates swinging, they shouldn’t be able to take G2 down. That said, G2 are far from a consistent team right now. They can look pretty abysmal like last week, or incredibly dominant like yesterday. It seems though, that they’re coming back to their pre-Rift Rivals form, and that’s a treat to watch. They’re going to be fighting for a top spot along with Fnatic and Schalke are just a small obstacle in the road. Splyce vs. Misfits – To close out the week, we have a fairly interesting clash between the number one team in Misfits and Splyce. Now predicting how this game will develop is pretty much impossible, but there’s one thing for sure – Misfits should be able to come out victorious. Before yesterday’s match, Splyce might have even had a chance. But seeing them outclassed so hard against G2 was incredibly painful. They were unable to put up much of an offensive and after a while it just looked like a fight between a top tier LCS team and five randoms from solo queue. We’re going with Misfits on this one, but you shouldn’t count Splyce out. If there’s a team that capable of upsetting, then it’s always Splyce – it just depends whether or not they’re on the same page.